A child’s first visit to the dentist should be enjoyable! Children are not born with a natural fear of the dentist, but they can fear the unknown. Our office makes a special effort to use pleasant, non-frightening, simple words to describe each treatment. We want you and your child to feel at ease from the moment your family arrives at our office. The more you and your child know about the first visit, the better you will feel. 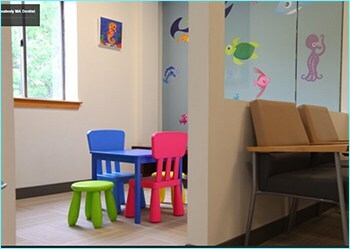 Great Hill Dental in Peabody understands the importance of your child’s visits to the dentist. We build a trusting relationship with both you and your child, and make sure each visit is as pleasant, interesting and fun for your child as possible.